The colostrum found in our capsules was obtained exclusively from controlled stock of German cows in the first 24 hours since the birth of calves. Drink 1 capsule twice a day with 2 dl of water, along with a dish. 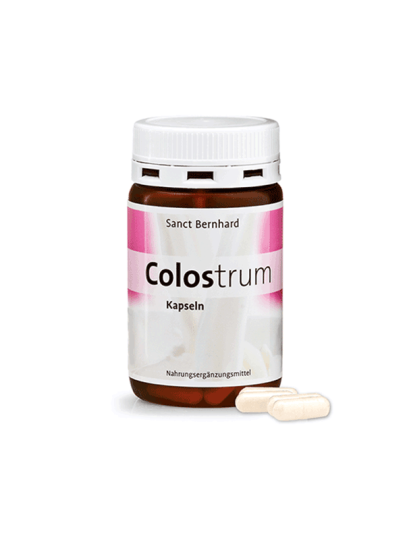 colostrum (79.5%), gelatin capsule, anti-caking agent: magnesium stearate. It contains lactose and milky proteins.